After a long Winter, can't you just taste the sweetness of Spring? 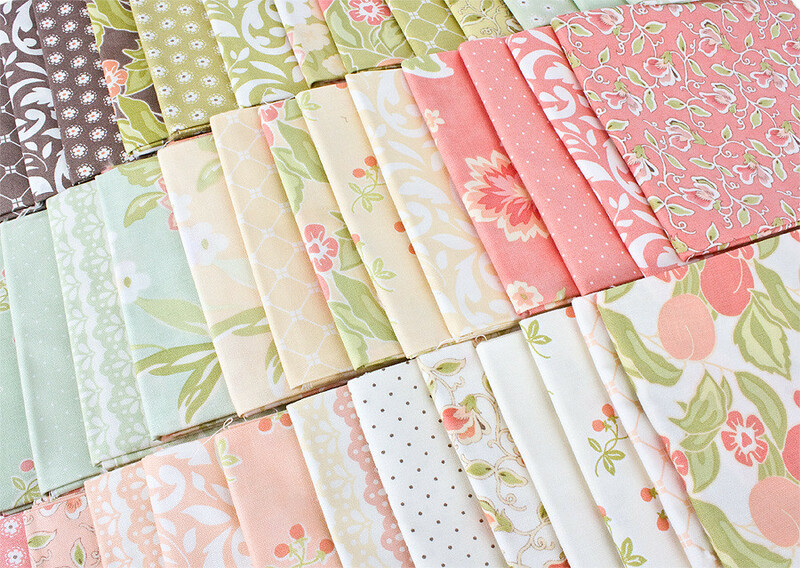 Mirabelle by Fig Tree Quilts is easing us into Spring with soft colors, juicy peaches, and pretty prints. This collection is just as sweet as the season itself. 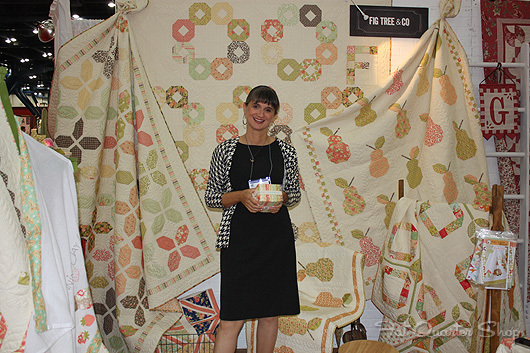 Joanna of Fig Tree Quilts is here to tell you a bit more about her new Mirabelle collection, so keep reading for some sweet inspiration. 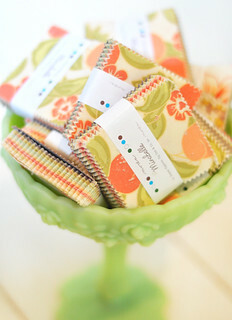 Q: Tell us a little about the Mirabelle collection. What were you inspired by? A: Mirabelle started for me when I got a chance to drive up the coast of California on my way to teach a lecture and workshop for a guild. It was February and the orchards were just starting to bloom. Usually I fly to teach, but this was such a wonderful roadtrip with so much "eye candy" for me and I am so happy I got the chance to do it. The colors of spring mixed with the feel and nostalgic images of the orchards and fruit stands that I saw on my trip inspired me to create this collection. The vintage apricot print you see in the collection was kind of the starting point for me. 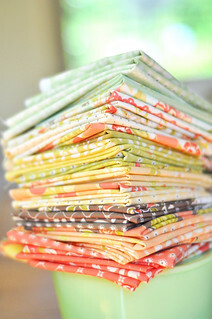 Q: How does Mirabelle fit in with the past Fig Tree collections? 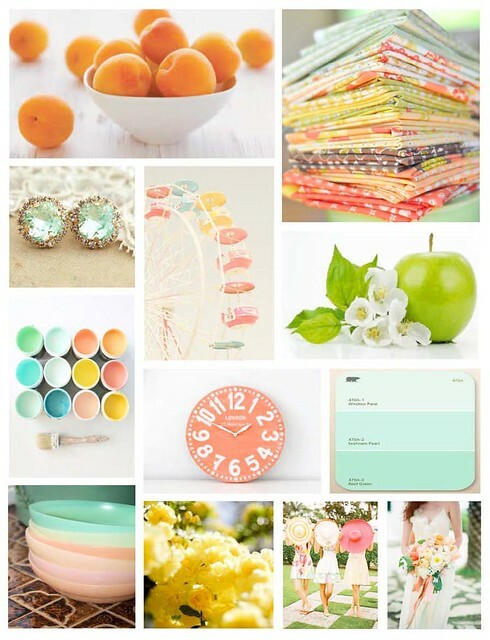 A: Once in awhile we feel like going really soft and pastel. This is it. It doesn't happen as often nowadays and we more often than not work with stronger colors but Mirabelle would be in line with some of our past softer collections such as Fresh Cottons and Buttercup. Its a nice, romantic palette to work with in the Spring. 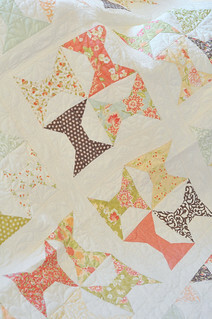 A: Currently I am working on some bigger, geometric prints and bringing in some new, fresh colors into my next group. It always starts with the color palette for me so I have spent a lot of time observing the new colors these days. At the same time, I am always trying to balance the vintage feel with the fresher colors in our Fig Tree fabrics and patterns. In our patterns, I am working on a few fun reproduction quilts this time around as well as some new surprises but I am not quite ready to share those yet. 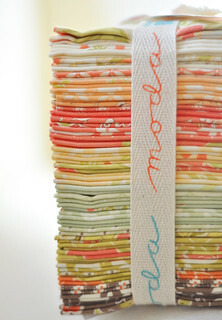 Q: What projects do you hope to see made with Mirabelle? 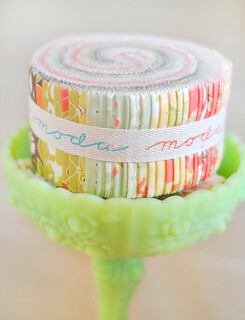 A: I think Mirabelle is perfect for Easter and Spring feeling projects. I would love to see some girl's dresses made from it, and then I would love it if someone would make one for my daughter... :-) Just kidding. Kind of! From our patterns, I think my current favorite is the Carousel Quilt Pattern - there is just something about those giant rings that I love and can't get enough of. We have made it as a Christmas version too that looks like wreaths. Love it! Our best seller this time around is definitely Canned Pears. 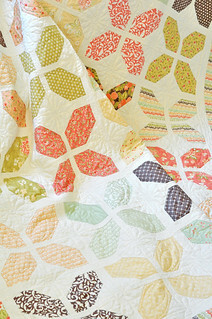 It's just a fun quilt to make and it is great that it has no templates or even triangles- everything is constructed from squares and rectangles! My favorite kind of pattern! 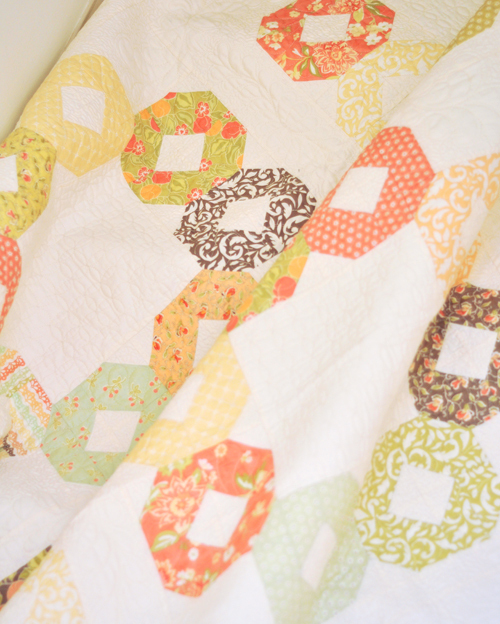 My daughter has already claimed the Mirabelle version of the Hugs quilt for herself as soon as it returns from its travels and Spools is a great pattern for a beginner or someone just starting out. No triangles in that one either! Q: What has been your biggest sewing faux-pas to date? 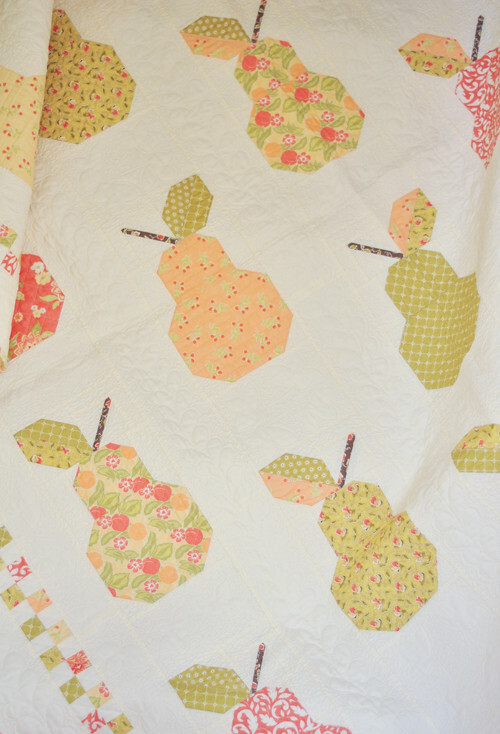 A: I once quilted an entire quilt [at least it was small and simple] to the wrong/left side of the backing. I mean the whole thing! I finished, took it off the machine and turned it over to see how the quilting looked on the backside and about had a heart attack. I have absolutely no idea how I did that but let's just say that now I triple check to see if my "sandwich" is put together correctly before I start!